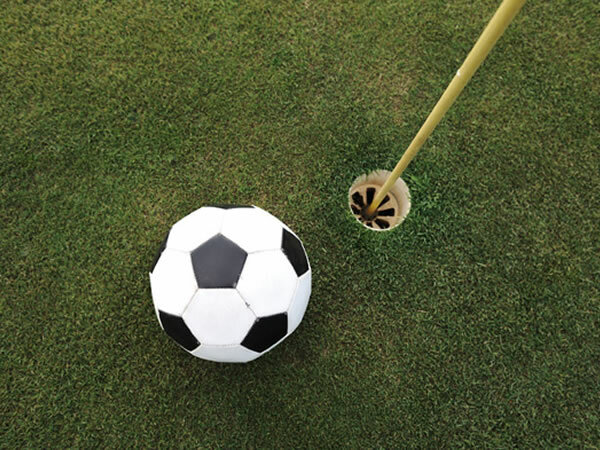 In Stanford-le-Hope, Essex, at St Clere’s Golf Club is a wonderful 18-hole Footgolf course ready to stand up to the challenge whatever your ability. You can be sure of a warm and friendly welcome, and this is a perfect course for Footgolfers of all abilities, from beginners to those looking for more challenges. Open on Wednesday to Sunday, there are plenty of options throughout the week to challenge your mates to a friendly round or two. The facilities at the Golf Club are excellent and welcoming to both golfers and Footgolfers alike. There is a Bar with Sports TV and Wi-Fi as well as a restaurant and café, changing and shower facilities and ample parking. Footballs are provided, ensuring you have the necessary size, and you can hire a golf buggy if you like.